The biggest headcount reduction in Microsoft’s history was driven by a need to invest in new technologies rather than the company’s bottom line, an advisor to CEO Satya Nadella said Wednesday. “Any student of the history of the tech industry will see that the mistake companies make from one generation to the next is not taking spend off of legacy products ... and putting it on new things fast enough,” said Jeff Teper [cq], Microsoft’s head of corporate stretagy, at a financial analyst conference. 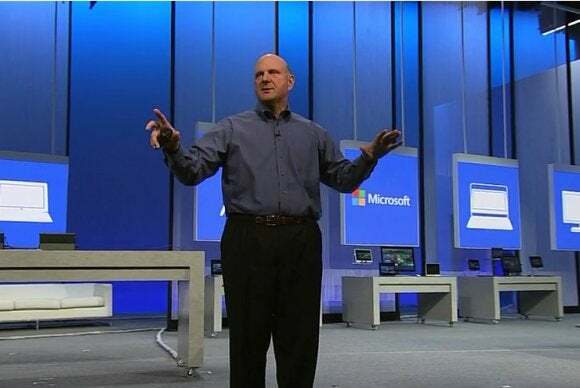 He didn’t mention Nadella’s predecessor by name, but Steve Ballmer was often criticized during his tenure for failing to react quickly to opportunities in search, social networking and mobile. Those were mistake Nadella wanted to avoid. From the start, the new CEO said he wanted to “double down” on emerging trends like IoT and invest more in new technology than the company’s financial models would allow, according to Teper, whose team supports Nadella and the rest of Microsoft’s senior leadership. The job cuts “weren’t really motivated by [earnings per share] optimization,” Teper said during a question-and-answer session at the UBS Global Technology Conference. Nadella announced the plan to lay off 18,000 Microsoft employees, or 14 percent of its workforce, at the start of the company’s fiscal year in July. After three rounds of layoffs, most of the jobs have now been cut. Teper also said Microsoft has a “broad pipeline of new mobile first experiences coming out,” similar to its recent decision to unlock editing features for the free Office apps on iOS and Android. In fact, a big part of Nadella’s strategy to boost Windows Phone’s dismal market share is to continually improve the company’s applications across all platforms and devices, according to Teper. In that sense, Microsoft now views mobility from a broader perspective, beyond the confines of Windows. If more people grow to love Office on other platforms, the theory goes, they’ll be more likely to come back to Windows devices like the Surface Pro 3 and Nokia smartphones. Teper recalled that Microsoft released the first version of Office for Apple’s Macintosh computers in the early 1990s, and now Microsoft is turning back to that approach for mobile. “Satya has emphasized the challenger mindset: let’s get people to love our products and that’ll pull them back to our platform,” he said.